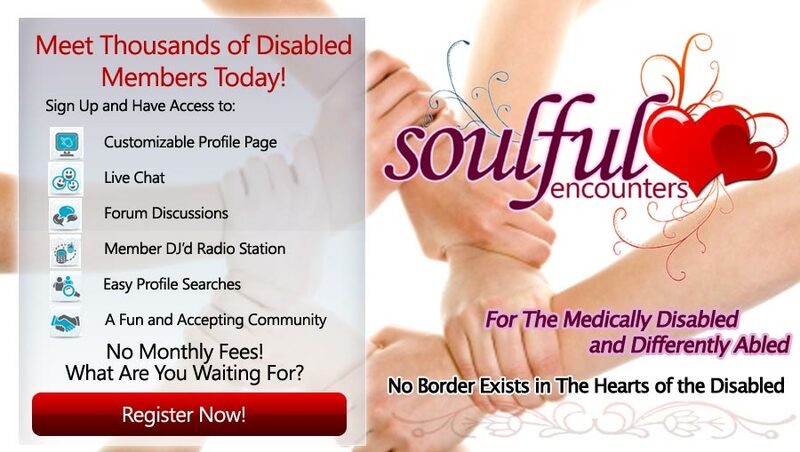 At Soulful Encounters' disabled dating and community Web site, disabled individuals find real support, compassion, and friendship through our disabled community and disabled dating Web site. 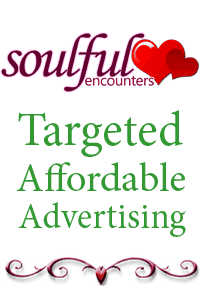 The name Soulful Encounters and the hearts logo are a constant reminder of this Web site's primary mission -- to provide a place where the medically, mentally and physically disabled can nourish their souls and awaken their hearts. 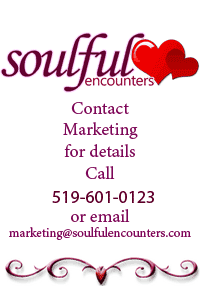 Why Choose Soulful Encounters as your disabled dating site? Special events that include persons in the medical field. Most importantly, we offer you a supporting and caring disabled community where it's easy to find a friend, support or that special someone. And we do this all at no cost to you! What are you waiting for? Start now! Thank you for supporting Soulful!